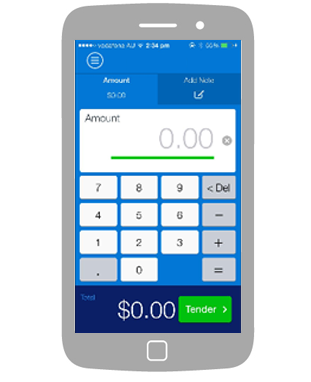 Pocket Pay is a mobile EFTPOS solution for smartphones and tablets that gives your business an on-the-go method to process Chip & PIN transactions. The compact MT330 EFTPOS terminal and Pocket Pay app are fast, secure and MT330 packs all the functionality of a traditional EFTPOS terminal into a credit card sized device. Pocket Pay works in conjunction with the Pocket Pay app installed on your smartphone or tablet device. 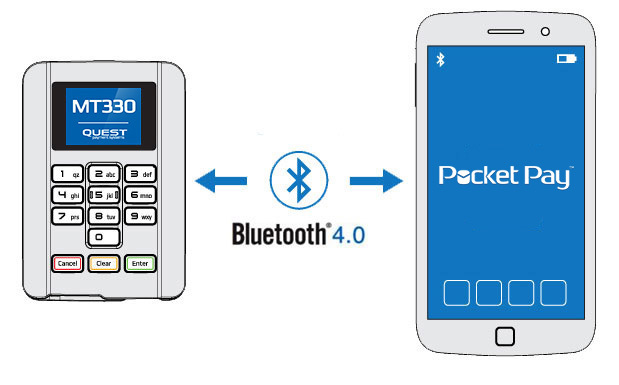 The MT330 communicates with your smartphone or tablet using Bluetooth wireless technology and the Pocket Pay app. 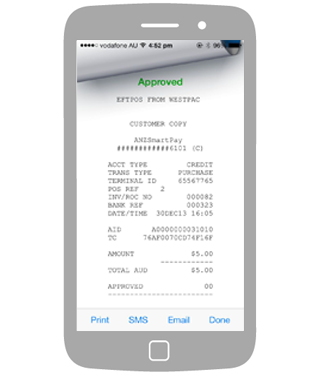 The Pocket Pay app is used by the merchant to initiate transactions, manage receipts, settings and much more. 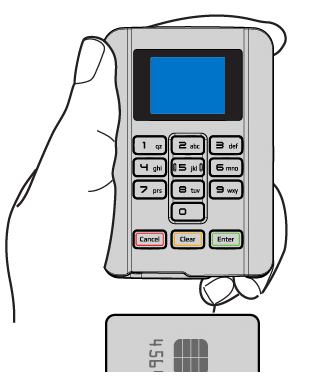 The MT330 terminal is passed to the customer to insert their payment card and enter their PIN. The app is available for free when you purchase Pocket Pay and is available on most Apple, Android and Windows smartphones, tablets, mobile computers and laptops. For a complete list of supported devices and operating systems, please see the supported device list. For instructions on downloading the Pocket Pay app see here. The Pocket Pay app is a simple Point of Sale (POS) application, which when used with MT330, allows a merchant to take card payments in 3 simple steps. Hand the MT330 to your customer and ask them to insert their card, select their account (CHQ, SAV or CREDIT) and enter their PIN. You can monitor the customer’s transaction progress on your mobile device. Before you can start using the Pocket Pay app, you'll need to commission your smartphone or tablet using the account details provided by Quest when purchasing your MT330. See the Getting Started Guide in the How To section for further information.